We are a small company with an impressive client list. We pride ourselves on our ‘can-do’ attitude, customer focus and attention to detail. That’s why our clients use us again and again. We take enormous pride in our work and our staff. All of our supervisors are CCTV trained, First Aid trained and Fire trained. We carry a public liability of 10 Million and an employers liability to match. These figures are twice the norm for our competitors. We take our business seriously. We are a member of the FSB and SafeContractor approved. Even with all of these added extras, our company is still fiercely competitive on price. Please contact us on 01179 829979 to discuss your security needs. 24/7 – 365 days. We aim to be the number one independent security provider in the South West. Looking for professional Security Companies in Keynsham, Portbury, Avonmouth, Portishead, Clevedon & Weston Super Mare? 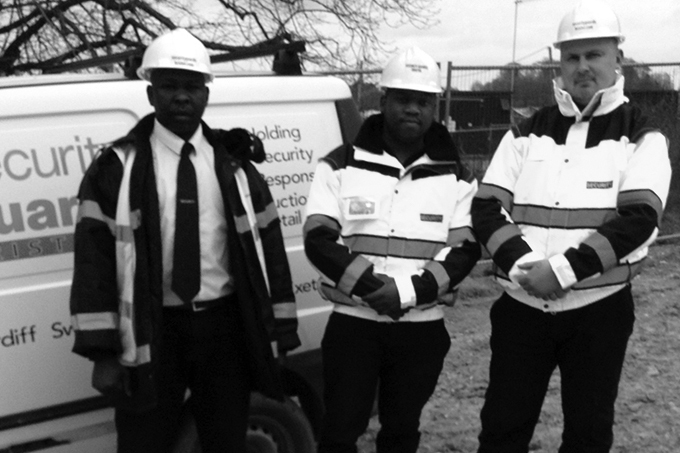 We are Bristol Security Guards – the security company you can trust. Q.Why choose Bristol Security Guards ? A. We pride ourselves on our professional, courteous and affordable security services. Q. Need a solution tailored to your specific needs? A. Our security company will provide a bespoke service, to your precise requirements, offering you the protection you need. Of all the security companies in Keynsham, Portbury, Avonmouth, Portishead, Clevedon & Weston Super Mare, Bristol Security Guards ensures customer care is always at the forefront of everything we do. We are very proud of our outstanding service and customer satisfaction record. Clients of Bristol Security Guards can be assured that we will deliver a consistently high-quality service and have the experience to handle any potential situation. As a professional and well-established security company with many years of experience throughout the South West, we are able to offer advice on existing security policies as well as implementing security improvements. We realise our security company has to provide you with the security solutions you require, at a competitive rate, providing value for money. Our bespoke security services provide all the above plus a wealth of security experience. Highly trained SIA approved guards will deliver a great quality service. We have provided a range of security solutions to businesses in Keynsham, Avonmouth, Portbury, Clevedon, Portishead, Weston Super Mare.